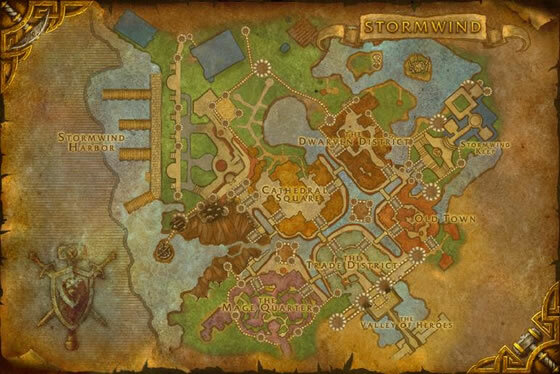 Lil Timmy is a rare spawn who circles through the Canal District of Stormwind roughly every 3-6 hours. This pet is only sold to alliance characters. Horde characters may purchase this pet through a neutral auction house and on occasion through their own auction house. Of the 17 cat types within this moveset, this is the only option for the HB breed. On Staghelm, I camped by the canels in the curve near Old Town between the two bridges. It took about two hours for me to finally see him. At 6:43 CT, I snaged a White Kitten on my first try. If you don't know what to look for, he's a blonde kid with a blue vest type shirt. And, of course, the White Kitten follows behind him. Happy Hunting! A comment on wowhead stated that Timmy appears with the minute 4. For example: 7:04, 7:14, 7:24 ect. Timmy spawned 7:22am. The thing to do is simply go to his spawning point and wait. There is no pattern as to when he spawns. Back in 2005 this was the first pet I owned. It was a gift that some random 60 gave me in silver pine forrest. i've been looking for this kid for months and i just ran into him today not even looking for him anymore. found him just before he got to the docks before he disappeared. After learning about this kitty, I went to Lil Timmy's spawn point and found someone who'd been camping there for over an hour. We had a nice little chat, and as the cat can only be sold once, I left it to the camper and decided to come back later. Later that day I came back at 7:45pm for a spot of camping. 9 minutes later, at 7:54, Lil Timmy spawned. I was able to get the kitty as I was the only one waiting, yay. Got lucky. Hope you all get the same luck. After a couple of weeks of running around Stormwind, I finally ran into Lil Timmy before someone had already bought the White Kitten. Wowhead has a pretty solid map of where Lil Timmy walks. He spawns on the NE side of the Cathedral district, near the Docks, and then follows the Wowhead map's path counter-clockwise. I personally started my patrol near his spawn point and followed his path clockwise, so I wasn't trying to "catch up" with him, but trying to collide with him on his route. A daily jog around Stormwind, You'll find the Timmy and get your own white kitten! Great! With the new patch named mine after my real life cat which is also pure white! Great stuff. 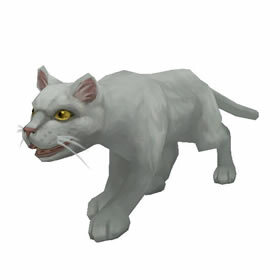 As of Patch 4.2.2, if Timmy sells his little kitten, the other white kitten that follows him, disappears. On my realm, I never have to search for him, I always have good luck just bumping into him. When I was first looking for him it took me a while but I eventually got him. Now I keep getting them. I sold a few on AH and I'm saving some for new toons. This will always be my favourite. All my toons have one and carried it around even when they still ate a bag slot. I spend a lot of time in Stormwind (as a Human Warlock it's not surprising) but I've only ran into Timmy once and someone had already bought him. If only I knew who it was was I would have have placed a curse on him. Then stolen the cat from his corpse. Don't know if it's everywhere or just my server, but even on the alliance AH you can consistently get big money for him. I don't actively hunt for Timmy, but if I bump into him I always buy the kitten and make a quick profit. Lil' Timmy is on a 3 hour spawn timer, and walks a very easy path. He will walk for a little while after someone has bought White Kitten, so if you see him, simply note the time and return 3 hours later. Let me tell you about the White Kitten. This kitten is clearly the result of rampant backyard breeding. Why else would Little Timmy have yet another kitten to pawn off on an unsuspecting citizen every few hours? He clearly makes a fortune from it, while the kitten is doomed to a boring existence in the auction house, waiting for its forever home, like most real-life products of such irresponsible breeders. Spay and neuter your pets, people!